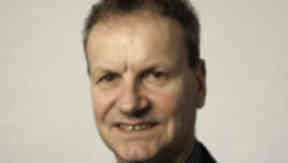 Election 2010: Incumbent SNP MP Pete Wishart has held his seat. Peter Wishart was re-elected for Perth and North Perthshire, an office he has held since it was created during the 2005 boundary changes. He was previously MP for Tayside North from 2001 to 2005. Mr Wishart is married with one child. He was born in Dunfermline and attended Queen Anne High School and Moray House College in Edinburgh. Mr Wishart is a trained Community Worker and has been a Director of the Fast Forward charity, promoting healthy lifestyles for young people. He was a member of the Scotland Against Drugs Campaign Committee. Mr Wishart is the founder of the parliamentary rock group MP4, and was also once a member of Scottish Celtic rock group Runrig.